Today’s champion submitted article entitled “The Effectiveness of the Use of High Fidelity Simulation as Part of Midwives’ CPD” was guest authored by Yetunde Akinnuoye MA PGCLT(NMC) FHEA PGCCPSA BSC(hons) RM, Midwifery Lecturer at Midddlesex University. This submission explores the effectiveness of high fidelity simulation has on midwives’ continuing professional development, and for recognition of and response to obstetric emergency, through a mixed methods survey. Background– Clinical simulation is seen as a tool for providing hands-on experience for knowledge and skill development in situations that closely resemble real life yet putting no lives at risk. In obstetrics simulation helps to create a favourable learning environment whereby midwives can gain skills in a safe place with minimal risk and immediate feedback. Simulation is link to the “I do” aspect of the Chinese proverb ‘’I hear and I forget. I see and I remember. I do and I understand’’. Successful management of obstetric emergencies requires the coordinated efforts of multidisciplinary team professionals. Simulation training provides an opportunity to learn and master simple as well as complex skills needed in an emergency situations. Finally, it is also thought that simulation will foster cognitive skill development such as decision-making and reflection, while helping to develop psychomotor skills and competent midwives. Data Sources– Studies done in UK, Australia, Canada and American were chosen because the educational system for training nurses and midwives are similar in these countries. Search parameters included the years from 2004-2014 limited to English articles. Search criteria were further limited by specific key words searches of the databases Medline, ProQuest, Ovid, Science Direct, Cochrane and Cumulative Index to Nursing and Allied Health (CINAHL), Google Scholar and Allied Health Literature. Methods– Evaluation using a questionnaire. One year after the last session of the simulation course, participants were invited to attend another course after which they were asked to complete a questionnaire evaluating the self-perceived impact simulation had on their knowledge and skills. Ethical approval was obtained from the Clinical Effectiveness team in the author’s local hospital. Results– Three themes were identified namely, self-confidence, critical thinking and interprofessional & communication. 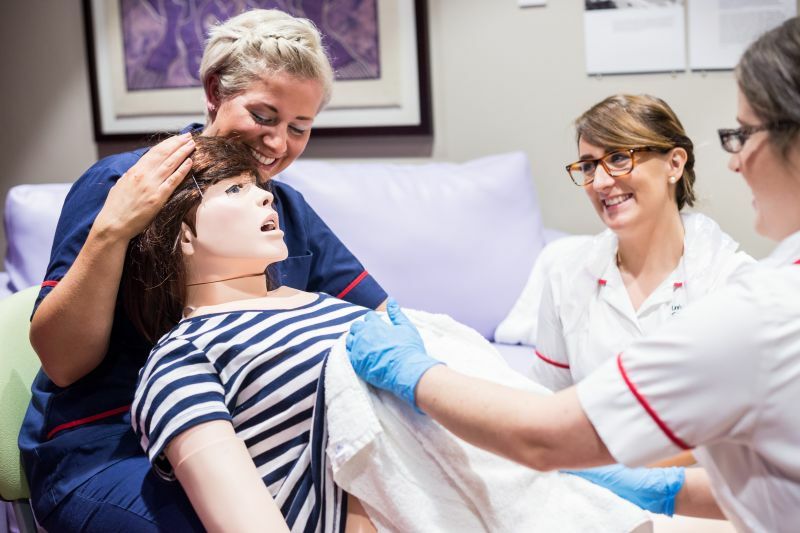 Participants reported that simulation prepared them well to care confidently for critically ill women and enabled them to effectively manage obstetric emergencies. Midwives reported simulation helped them to make sound clinical decisions to improve women’s care. Conclusion– The midwives in this project believed that the skills learnt through simulation were transferable to practice. The results provide evidence to support the use of simulation as a teaching strategy to promote critical thinking skills, learning, and confidence. Thanks Yetunde Akinnuoye for your submission to HealthySim! Do you have a story to share with the global healthcare simulation community? Submit your simulation news and resources here! Contact Yetunde to learn more about The Effectiveness of the Use of High Fidelity Simulation for Midwives!